Contributor NAVA used a drone to create an aerail tour of Vietnam. In this video you will get a spectacular aerial perspective of many of the most recognized sites in this Southeast Asian nation. Prepare to be amazed by the aerial views of Hanoi, Mui Ne, Hoi An, and Ho Chi Minh City. 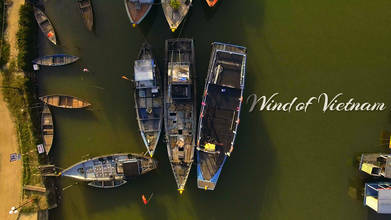 You will see why Vietnam has gone from a tourism backwater to one of the most sought after international destinations. Description: I visited various parts of Vietnam seeking a spectacular view. Hanoi, Mui Ne, Hoi An, Ho Chi Minh. Each had a history, and there was a life rooted in that place. The historic city, the enthusiasm and the wonderful landscape that I feel there seems to make Vietnam's charm bigger.